Since October 1st 2008 Planning Legislation came into place allowing home owners certain limited rights to build extensions without the need for formal planning permission. These are called "permitted development rights" and are granted by Parliament as opposed to the Local Authorities. You can often extend or add to your home without the need to apply for planning permission provided you meet a set of limits and conditions. More information about permitted development rights can be found on the Government Planning Portal website. Local Authority Planning Departments assess certain building works dependent on size, aesthetics and location. Planning applications can be granted with possible conditions or rejected if the proposed plans do not comply with planning regulations. 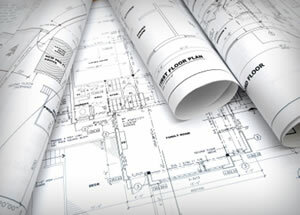 We work closely with architects keeping planning costs to a minimum. If you have an extension in mind or other building work that might require planning permission, please don't hesitate to contact us. We can offer our experience and guidance on what is achievable along with an idea of costs involved.